The auction ends July, 5th. Go check it out on SonyRewards. 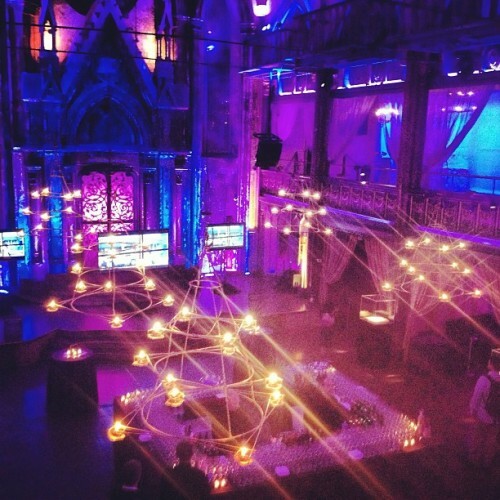 Cassandra Clare has shared her costume for the #TMIparty at Book Expo America today (May, 30th). The Mash interviews Cassandra Clare over the phone. Cassandra Clare explains that her favourite part of the book is having a layer magical hidden under the normal and ordinary New York life. However, her favourite part of the movie would be Magnus's party -where she is a cat-like demon. 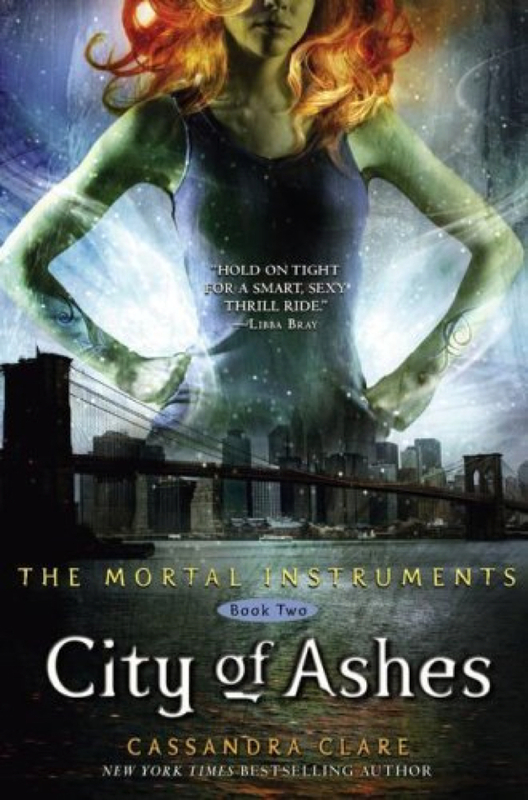 When writing “City of Bones,” which chapter had you most captivated?It was the idea of bringing this sort of magical New York to life. The idea that, here’s this city and we all know it and we walk the streets every day and we see the same stores and the same taxis and the same people, and it’s all so normal. But then, underneath it, there’s this layer of magic. … You just scrape away at it a little bit and you see it. And that’s something that I love. Who was the first character you developed in the story?It was Clary. I mean, it was always the idea of writing this journey of a hero, a coming of age story about a girl. There’s so many (stories) about boys. I love “Harry Potter” and “Percy Jackson,” but I really wanted to read one about a girl who came of age and answers the same questions about who am I and how do I become an adult, how do I become a good person and how do I become a woman? 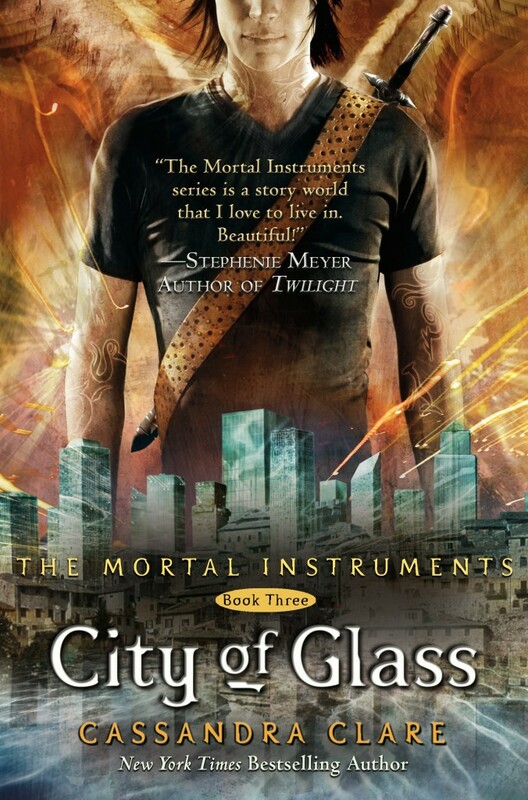 Trends International realeased a preview of the City of Bones book poster. Now, they've released the Collectors Beaded Book Mark and the Poster Pre-pack. Now there's another way to show your love for The Mortal Instruments. 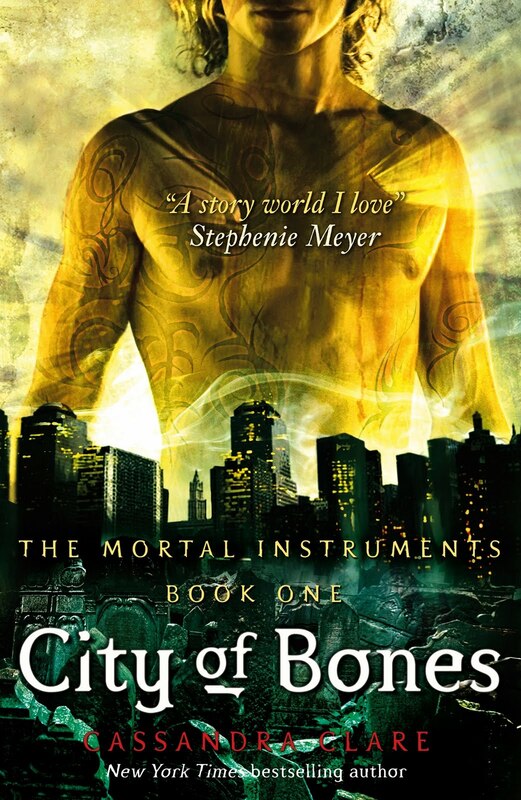 Trends International has the book cover poster for City of Bones. No exact date to when this poster will be available, but stay tuned! Will you get this poster, or will you wait until all the posters are revealed? Autographing Area is Open: Thursday, May 30, 9:30 am - 5:00 pm, Friday, May 31, 9:30 am - 5:00 pm, and Saturday, June 1, 9:30 am - 4:00 pm. With close to 500 authors signing in the Autographing Area, you can be sure that you will meet (and possibly get a photo with) one of your favorites! 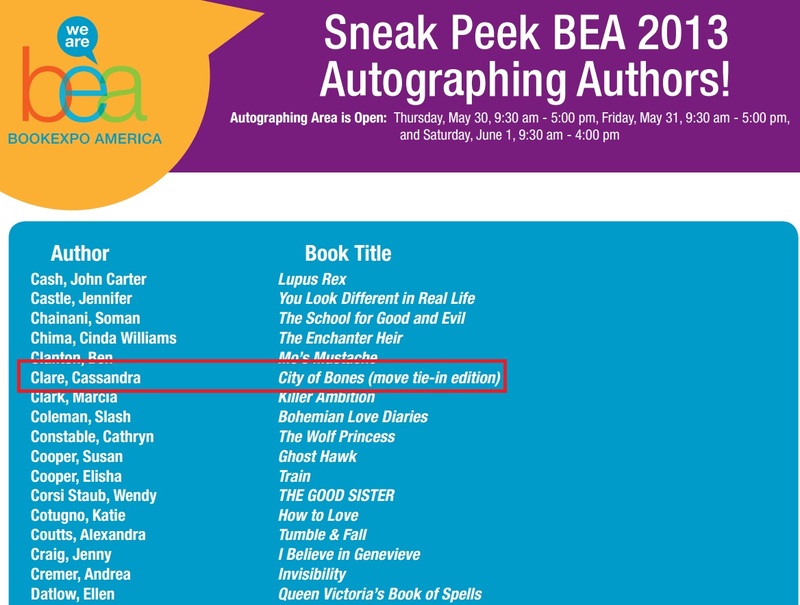 The final autographing schedule will be posted in late April so please check back so you can plan your visit to BEA accordingly. In addition to the authors who appear in the Autographing Area, many more authors can be found signing in their publisher's booth. These are called "in booth" autographing sessions and will take place throughout the 3 day show. A schedule for "in booth" signings will be posted on our Web site in late April and the schedule can also be picked up at BEA. Collider released their interview video with Jamie Campbell Bower (which you can watch here) just a couple of days ago. As a follow up, they interviewed Cassie too! Collider: When you started receiving interest about turning your book into a film, were you immediately excited about it, or were you hesitant about the idea? With so many young adult books being turned into movies, what would you say to people to get them to understand that this is a very different type of story with its own mythology? What is the name of the girl that blue haired demon boy follows inside the club? What is the motto of the Shadowhunters? What is the name of the Demon that possesses Madam Dorothea? 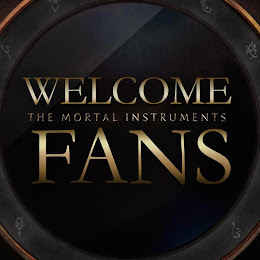 So you think YOU are the ultimate City of Bones fan? Have you read the book so much the pages are faded? Have you Googled every actor who will be in the upcoming movie? 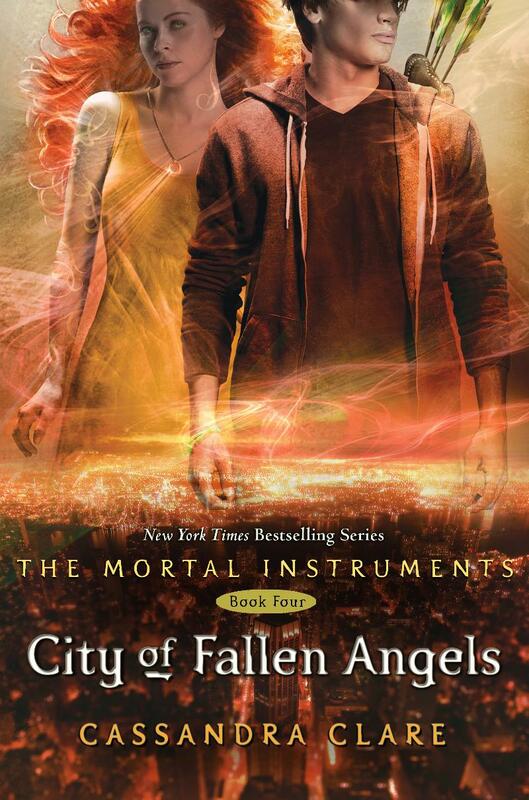 Are your goldfish called Clary and Jace?...If you answered yes to any of these questions, then this book is for you. 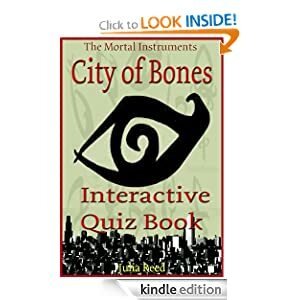 "eQuivia Books"™ are interactive quiz books that will test your knowledge Clary, Simon, Jace, Valentine, Luke, The Shadowhunters, The Silent Brothers, Madam Dorothea, and many other aspects of this best selling novel and upcoming movie. 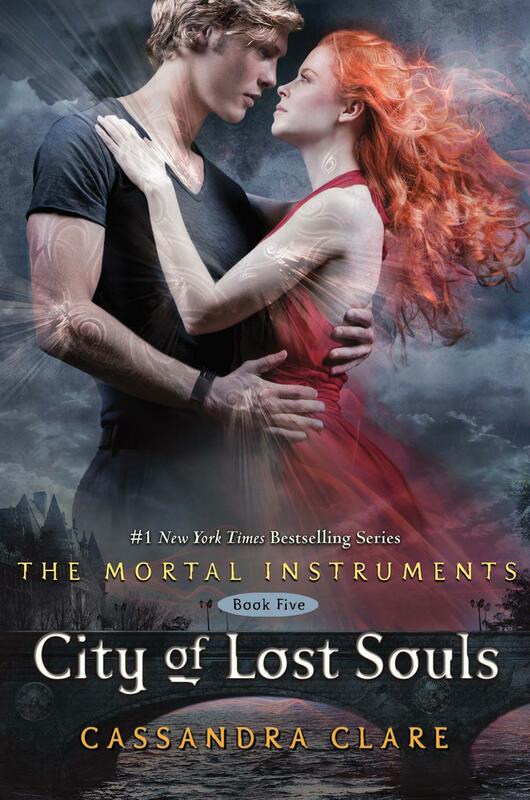 Get your copy today to see how much you REALLY know about City of Bones. The eBook is avaliable on Amazon.com for $3.74 (USD) or Amazon.ca for $3.81 (CDN). This interactive quiz is written by Julia Reed. Magnus Bane lay on the floor of his Brooklyn loft, looking up at the bare ceiling. The floor was slightly sticky, as was much else in the apartment. Spilled faery wine mixed with blood on the floor, running in rivulets across the splintery floorboards. The bar, which had been a door laid across two dented metal garbage cans, had gotten wrecked at some point during the night during a lively fight between a vampire and a Bat, one of the downtown werwolf pack. Magnus felt satisfied. It wasn't a good party unless something got broken. Soft footsteps padded across the floor toward him and then something crawled onto his chest: something small, soft, and heavy. He looked up and found himself staring into a pair of golden-green eyes that matched his own. Chairman Meow. He stroked the cat, who kneaded his claws happily into Magnus's shirt. A bit of Silly String fell from the ceiling and landed on both of them, causing Chairman Meow to leap sideway. With a yawn, Magnus sat up. He usually felt like this after a party – tired but too wound up to sleep. His mind was humming over the events of the evening, but like a scratched CD, it kept coming back to the same point and spinning there, sending his memories into a whirl. 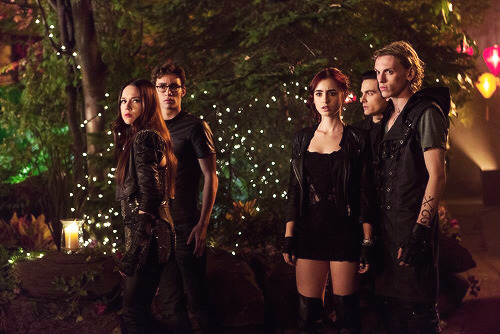 Those Shadowhunter children. He hadn't been surprised that Clarissa had finally tracked him down: he'd known Jocelyn's stopgap memory spells wouldn't work forever. He'd told her as buch, but she'd been determined to protect the girl as long as she could. Now that he'd met her, conscious and alert, he woundered if she'd really needed all that protecting. She was fiery, impulsive, brave – and lucky, like her mother. That as if you believed in luck. 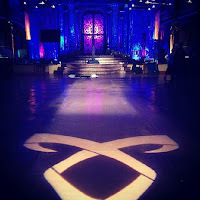 But something mus have led her to the Shadowhunters of the institute, possibly the only ones who could protect her from Valentine. A pity that Maryse and Robert were gone. He'd dealt with Maryse more than once, but it had been years since he'd seen the younger generation. He had a vague memory of visiting Maryse and Hodge, and there being two boys in the hallway, about eleven years old, battling back and forth with harmless model seraph blades. A girl with black hair in two braids had been watching them and vociferously complaining about not being included. He had taken very little note of them at the time. But now- seeing them had shaken him, specially the boys, Jace and Alec. When you had so many memories, sometimes it was hard to identify the exact one you wanted, like flipping through a ten-thousand page book to find the correct paragraph. This time, however, he knew. He crawled across the splintery floor and knelt to open the closed door. Inside, he pushed aside clothes and various packets and potions, feeling along the walls for what he wanted. When he emerged, coughing on dust balls, he was dragging a decentsized wooden trunk . Thought he had lived a long time, he tendet to travel light: to keep a very few mementos of his past. He sensed somehow that they would weigh him down, keep spend only so much time looking back. It had been so long since he'd unlocks the trunk, it came open with a squeal of hinges that sent Chairman Meow skittering under the sofa, his tail twitching. The heap of objects inside the trunk looked like the hoard of an unfastidious dragon. Some objects gleamed with metal and gems- Magnus drew out an old snuffbox with the initiald WS picked out across the top in winking rubies, and grinned at the bad taste of the thing, and also at the memories it evoked. Others seemed unremarkable: a faded, cream-colored silk ribbon that had been Camille's; a matchbook from the Cloud Club with the words I know what you are written on the inside cover in a lady's hand; a limerick signed OFOWW; a halfburned piece of stationery from Hong Kong Club- a place he had been barred from not for being a warlock, but for not being white. He touched a piece of twisted rope nearly at the bottom of the pile, and thought of his mother. She had been the daughter of a Dutch colonialist man and an Indonesian woman who had died in childbirth and whose name Magnus had never known. He was almost at the bottom of the trunk when he found what he was looking for and drew it out, squinting: a black-and-withe paper photograph mounted on hard cardboard. An object that really shouldn't have existed, and wouldn't if Henry had not been obsessed with photography. Magnus could picture him now, ducking in and out from benrath hos photographer's hood, racing with the wet plates to the darkroom he'd set up in the crypt to develop the film, shouting at his photographic subjects to keep still. Those were the days when in order to render motionless for minutes at a time. Not easy, Magnus thought, the corner of his mouth flicking up, for the crew of the London Institute. There was Charlotte, her dark hair up in a practical bun. She was smiling, but anxiously, as if squiting into the sun. Beside her was Jessamine in a dress that looked black in the photo, but which Magnus knew had been dark blue. Her hair was curled and ribbons fell like streamers from the brim of her straw bonnet. She looked very pretty, but someone like Isabell: a girl her own age who loved shadowhunting, who showed off her bruises and the scars of her marks as if they were jewelry instead of hiding them with Mechlin lace. On the other side of Charlotte stood Jem, looking like a photographic negative himself with his silvery hair and eyes turned almost white; his hand rested on his jade dragon-topped cane, and his face was turned toward Tessa's- Tessa- Tessa's hat was in her hand and her long brown curls blew free, slightly blurred by their motion. There was a faint halo of light around Will: as befitted his nature and would have surprised no one who'd known him, he had not been able to stand still for the photograph. As always, he was hatless, his black hair curling against his temples. It was a loss not to be able to see the color of his eyes, but he was still beautiful and young and a little vulnerable-looking in photograph, with one hand in his pocket an the other behind his neck. He traced the halo of light around Will with a finger and smiled. Will had been no angel, thought neither had been a flawed as some might have thought of him. When Magnus thought of Will, even now, he thought of him dripping rainwater on Camille's rug, beggin Magnus for help no one else could give him. It was Will who had introduced him to the idea that Shadowhunters and Downworlders might be friends. Jem was Will's other, better half. He and Will had been parabatai, like Alec and Jace, and shared that same evident closeness. And though Alec struck Magnus as nothing at all like Jem- Alec was jumpy and sweet, sensitive and worried, while Jem had been calm, rarely bothered, older than his years-both of them were unusual where Shadowhunters were concerned. Alec exuded a bone-deep innocence that was rare among Shadowhunters-a quality that, Magnus had to admit, drew like a moth to a flame, despite all his own cynicism. Magnus looked at Tessa again. Thought she was not conventionally pretty in the way Jessamine had been pretty, her face was alive with energy an intelligence. Her lips curved up at the corner. She stood, as Magnus supposed was appropriate, between Jem and Will. Tessa. Tessa, who like Magnus, lived forever. Magnus looked at the detritus in the box-memories of love past, some of whose faces stayed with him as clearly as the day he'd first seen them, and some whose name he berely remembered. Tessa, who like him, had loved a mortal, someone destined to die as she was not. Magnus replaced the photograoh in the trunk. He shook his head, as if he could clear it of memories. There was a reason he rarely opened the trunk. Memories weighed him down, reminded him of what he had once had but did no longer. Jem, Will, Jessamin, Henry, Charlotte- in a way it was amazing that he still remembered their names. But then, knowing them had changed his life. Knowing Will and his friends had made Magnus swear to himself that he would never again get involved in Shadowhunters' personal business. Because when you got to care about mortals, they broke your heart. "And I won't," he told Chairman Meow solemnly, perhaps a little drunkenly. "I don't care how charming they are or how brave or even hoy helpless they seem, I will never ever ever-"
Downstairs, the doorbell buzzed, and Magnus got up to answer it. They were the same words his father had spoken to him, upon giving him his first runestone. What other worlds? Jace had asked, and his father had only laughed.There are more worlds a breath away from this one than there are grains of sand on a beach.